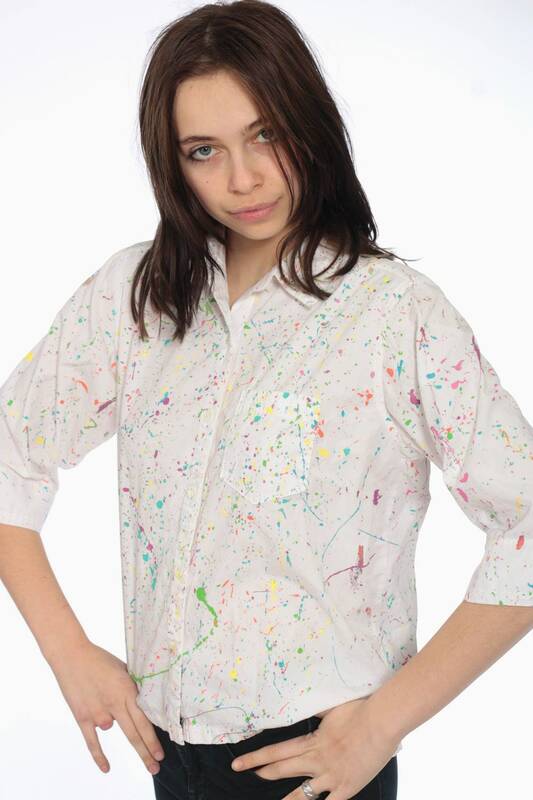 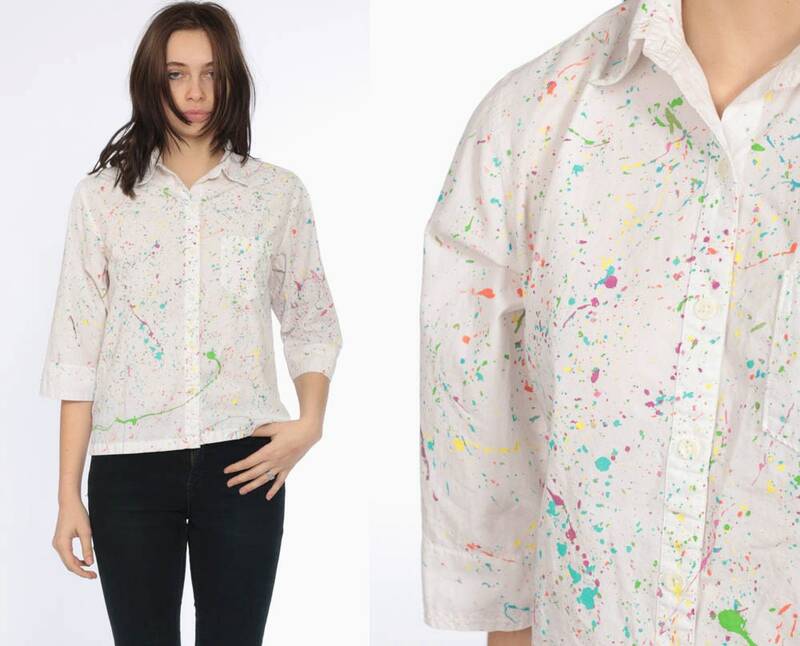 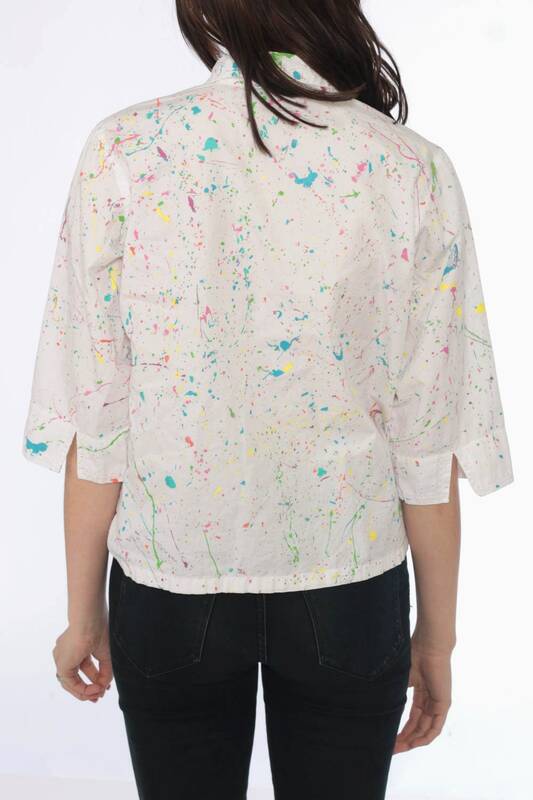 Vintage 80s 90s shirt in a paint splatter print. 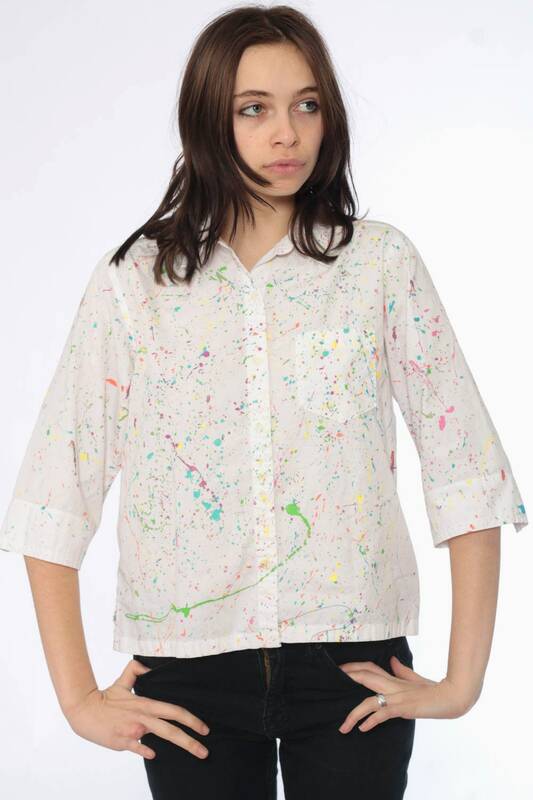 Buttons down the front with 3/4 sleeves. 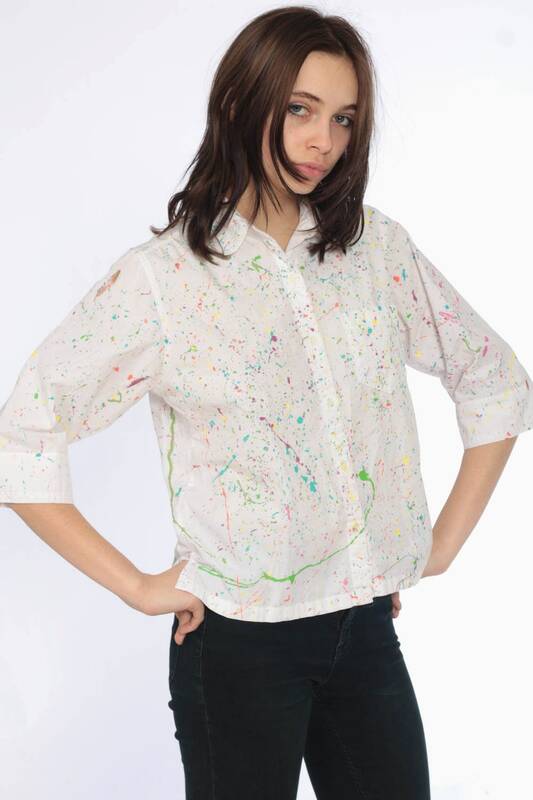 Best fits women’s: Labelled Small regular.